You’re already focused on the LeBron 12, we get that, but hopefully you won’t mind this look back at one of the more exciting Lebron 11s to have never made it to shelves. 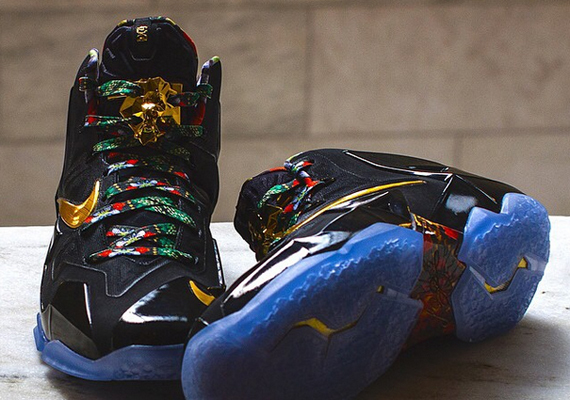 That would be the LeBron 11 “Watch the Throne”, a pair that seemed destined to be a friends and family joint from the day that it first surfaced. Then again, previous sample-only creations like the “What The” eventually evolved into retail staples, so maybe we’ll be rewarded with a “Watch The Throne” 12. Continue reading to see more angles on this rare Nike LeBron and tell us in the comments if you’re feeling them.